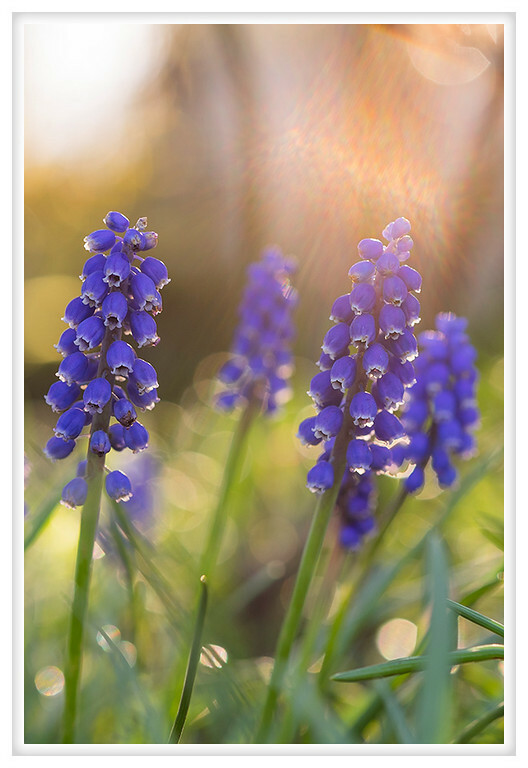 I caught these grape hyacinths as the sun cleared top of the house and the lighting was so warm and beautiful. Normally I would try prevent the flare but with the warmth of the light I really liked the effect. The isolation this lens creates is beautiful!